WE LIKE BIG POTS! Crane Ramen is a craft ramen restaurant, serving slow-food, fast! Our meat, eggs and poultry are local whenever possible, and most of our veggies come from farms located within 100 miles of the restaurant. All of our food is scratch-made! We have our stocks running 24 hours a day! For more on how to best enjoy ramen, click HERE! 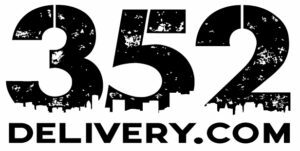 For Gainesville Delivery, click the banner below.